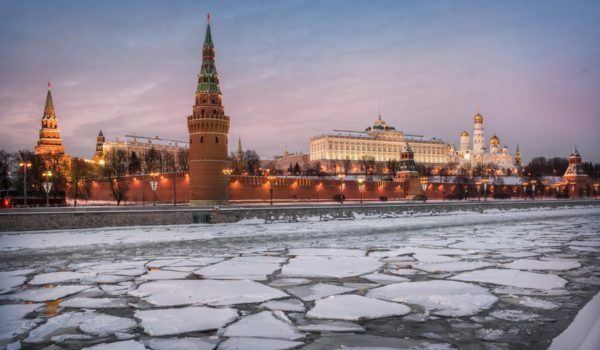 Novosibirsk might be Russia’s third-largest city, but you wouldn’t know it. The city centre is compact and – thanks to lots of parks and tree-lined avenues – it has a quiet, green-fingered air to it, which makes it an ideal city for strolling about. And there’s a lot here worth strolling for, including a slew of quirky museums and monuments, some impressive galleries, a good theatre and entertainment scene and some memorable places to eat. It’s hard not to like Novosibirsk and, sitting as it does on the main rail line, it makes a worthwhile Trans-Siberian pit stop. (Lonely Planet). One of the youngest cities in Russia, Novosibirsk owes its existence to the railway. The city is now the third largest in Russia, but there are relatively few points of historical interest. Built in 1893 on the Ob River to house the workers who were building the railway bridge over the river, it soon developed a reputation for water-borne trade and became a starting point for hunters in pursuit of fox, mink and other game. Novosibirsk has grown into one of Russia’s larger industrial centres, with many factories engaged in the production of metals and rolling stock, heavy-duty machines and high precision instruments, as well as assorted chemical products. Novosibirsk is the seat of the Siberian branch of the Russian Academy of Sciences, concentrating around it a respected education facility and research foundation. The city has naturally come to dominate the region’s cultural identity. The Alexander Nevsky Orthodox Temple – a museum of Local Lore, the Picture Gallery, Philharmonic Society and a famous circus are all located here. Every year, six theatres open their doors, the most popular events being the Opera and Ballet. The main Opera House is the most significant outside Moscow and St Petersburg. Today, Novosibirsk has a relaxed and unhurried feel with a burgeoning cafe culture which, in the hot summers, spills out onto pavements bedecked with colourful hanging baskets. The central market is also a good source of local food as well as food from the ‘Stans’ – rail lines from Uzbekistan join the Trans Siberian at Novosibirsk. Those ‘into’ trains will find another interesting train museum in this city! A visit to Novosibirsk would not be complete without seeing Akademgorodok, the Institute of Nuclear Physics, the city Museum or the Geological Institute. The tiny and pretty Chapel of St Nicholas was reputed to mark the centre of the old Imperial Russian empire: destroyed in Soviet times, it is now rebuilt. Other activities include boating on the Ob Sea, fishing, or try your hand at windsurfing. It is even possible to raft the local rivers. Whatever way you decide to travel a trip down a river can provide an excellent view of the mountains and countryside in this unique area of the Altai. make that stopover even more interesting! As the snow deepens and the ice thickens the Siberian Festival of Snow Sculpture opens its doors to the world. It takes place 7-12 January and complements the celebration of both Russian Orthodox Christmas and the ‘Old New Year’. This event is made even more memorable by the fact that the ice artists are some of the best on offer and who come from all over the world to compete and show off their skills. The event takes place in the City Park. The city is situated in the central part of Eurasia and has a continental climate with cold winters and hot summers. The average temperature during the winter is -18℃ to -20℃, and during the summer +20℃ to +22℃. Novosibirsk has the same latitude as Moscow, Copenhagen, and Hamburg, but it has more sunny days (about 2080 additional hours annually). The weather is a welome surprise to many visitors: winters are cold but sunny, summers are short but warm and pleasant. The late spring and the beginning of summer, with hot and sunny weather, is considered the best period to visit Novosibirsk. 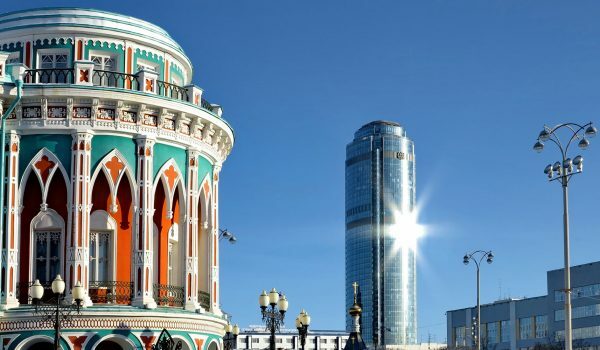 In Soviet times, Novosibirsk was nicknamed the ‘Chicago of Siberia’ for its rapid population and industrial development; today it continues to be the fastest changing city between the Urals and the Pacific. During the Second World War, Novosibirsk housed some of the most valuable treasures on the planet. Evacuated for safe keeping from Moscow’s Tretyakov Gallery were its fabulous paintings; Peter the Great’s throne and Alexander Pushkin’s manuscripts were just a small part of the Russia’s gems kept in total secrecy behind the walls of as yet unopened Novosibirsk Opera and Ballet Theatre. The Opera House and Ballet Theatre is larger than the Bolshoi Theatre in Moscow; indeed, it is the biggest theatre in all Russia with high quality performances to match. 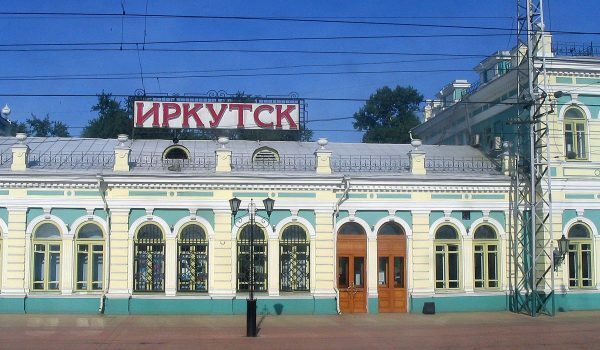 Novosibirsk Glavniy railway station is the largest on the Trans-Siberian Line. 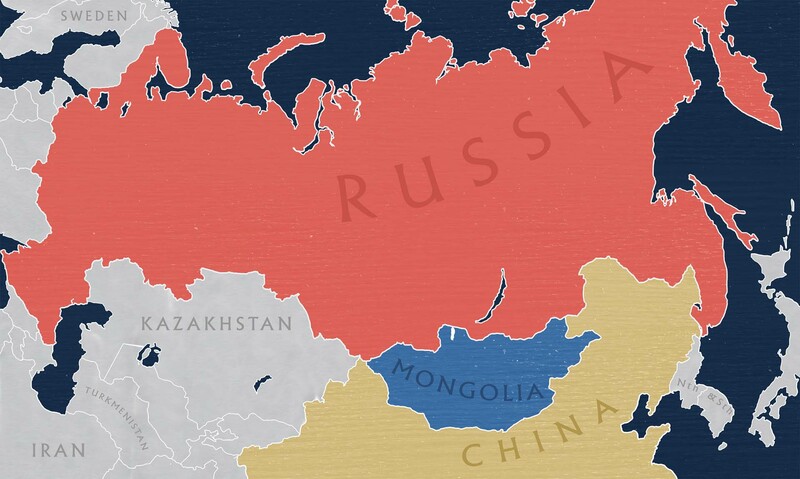 The Russian capital Moscow is closer to London in distance than it is to Novosibirsk. In 1962, Novosibirsk was the youngest city in the world with over one million people. In 1985, Novosibirsk became the first Siberian city with a metro system. Novosibirsk has the world’s longest metro bridge.